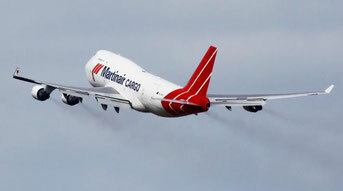 Lessor Air Castle Leasing has sold a B747 freighter to Martinair. It is the last Jumbo freighter that will continue flying in the traditional livery of the Dutch airline that had been integrated into 2008 into KLM. The Jumbo freighter just came back from a major overhaul in China to its home base AMS, returning in fresh original Martinair livery which "will remain this way till the end of the aircraft's lifetime," assures AF-KL Cargo Press Officer Gerard Roelfzema. He adds to this: "the PH-MPS will remain a full member of our freighter fleet." Confusion about the fate of the aircraft came up after the Dutch publication Luchtvaart Nieuws.nl reported that owner Air Castele Leasing had sold the B47-400BCF to KLM, leading to the assumption that it would be repainted and fly in the traditional blue and white colors of KLM. 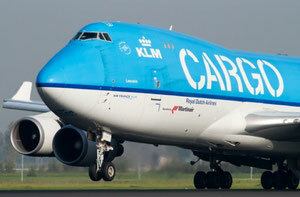 However, as Gerard pointed out to CargoForwarder Global, it is Martinair, not KLM that buys the freighter. In its heyday, Martinair operated with a fleet of modern Boeing 767, 747 and MD-11 aircraft, some of which were interchangeable and could operate either as passenger or cargo aircraft depending on demand and market situations. This product which was steered by Martin Schroder, the company’s founder, proved to be successful for many years. However, the airline was forced to phase out their passenger services in 2011 due to extreme price pressure on the North Atlantic, Caribbean and European passenger charter routes. It was then that the Boeing 767 fleet was either sold off or went into the scrap yard. This then left the cargo product which despite the ups and downs in the global economic scene, managed to hold its own due to concentration on niche markets as well as then newly opened South American and African air cargo routes. After Air France and KLM (in their wisdom) decided to join forces, there was no mention of Martinair Cargo. However it seems the wise guys decided to incorporate the MP Cargo into the deficit AF-KL Cargo unit instead of leaving it as a money making cargo entity. After KLM took 100 percent control of MP in 2009, things were still running well. It was in 2011 that the board members of both airlines agreed to commercially integrate MP Cargo into AF-KL Cargo. A move which probably came at the wrong time as AF-KL Cargo were losing money and customers. Then came the decision to start phasing out the MP Cargo fleet. Martinair staff were integrated" into the AF-KL commercial scene and the MP pilots fought a losing battle to keep their conditions and jobs. Martinair’s last jumbo freighter, a 27 year old converted BCF version which in its early days flew as a passenger aircraft for Singapore Airlines and Air India and which was on lease from Aircastle Leasing, has now been sold to Martinair. "It will keep the MP livery," assures Gerard. MP’s other three B747Fs are stored in Teurel, Spain (two) and Kansas City (one) and will probably never fly commercially again. Sad days for those old MP employees to see that only a single Jumbo freighter is left over as remnant of a once large fleet, displying the Martinair colors. That’s progress, some might say - but considering the continued uphill battle AF-KL Cargo is fighting, would it not have made more sense to use the MP Cargo product differently and profitably? But this is the PH-MPS? The PH-MPS is a KLM MP Cargo already and is the only Cargo painted as MP. Our aim was to show the last freighter displaying the traditional Martinair livery. Good to know it will continue operating in the red and white colors until it's phased out one future day.